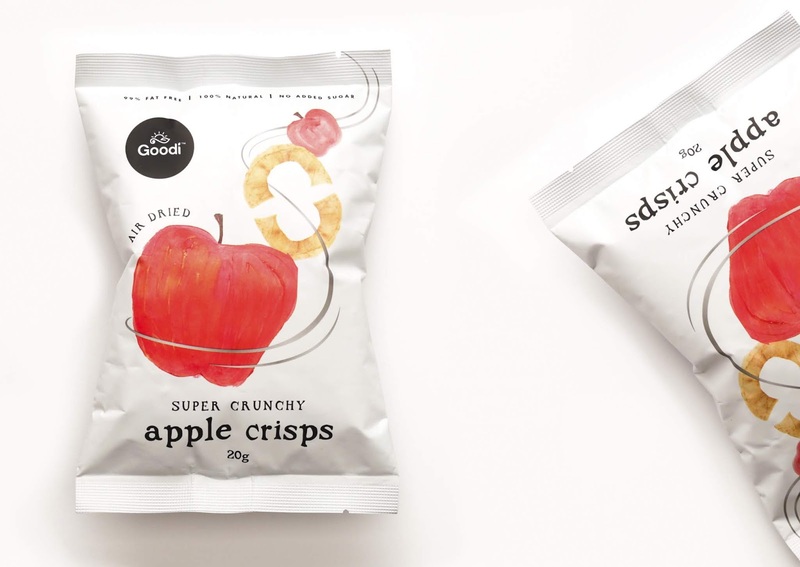 Goodi is an innovative new snack brand offering healthy and delicious treats for the school lunchbox. As the saying goes - an apple a day keeps the doctor away. 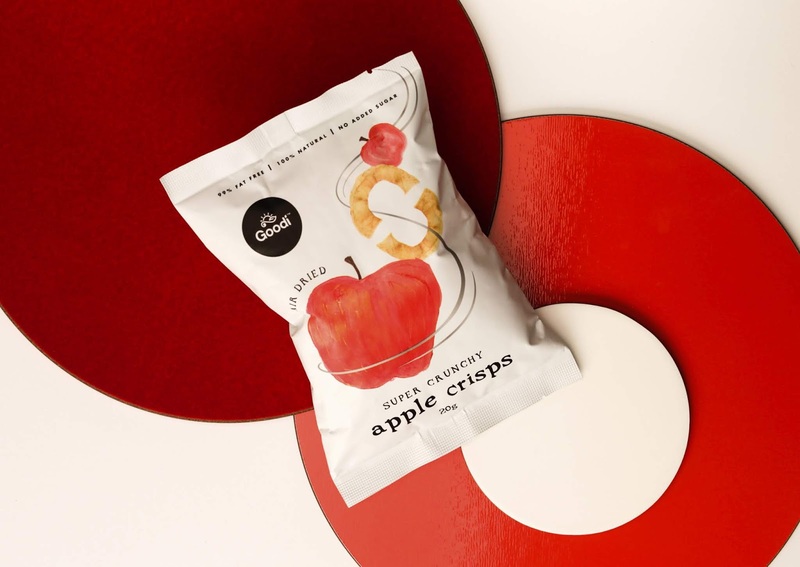 These super crunchy apple crisps contain one apple - that is dried with no added sugar, 100% natural and 99% fat free. We wanted the packaging to appeal to a school aged audience - key acquisition influencers for repeat purchase. Our strategy determined a clean and simple approach which had to communicate visually - without reading any copy or content. 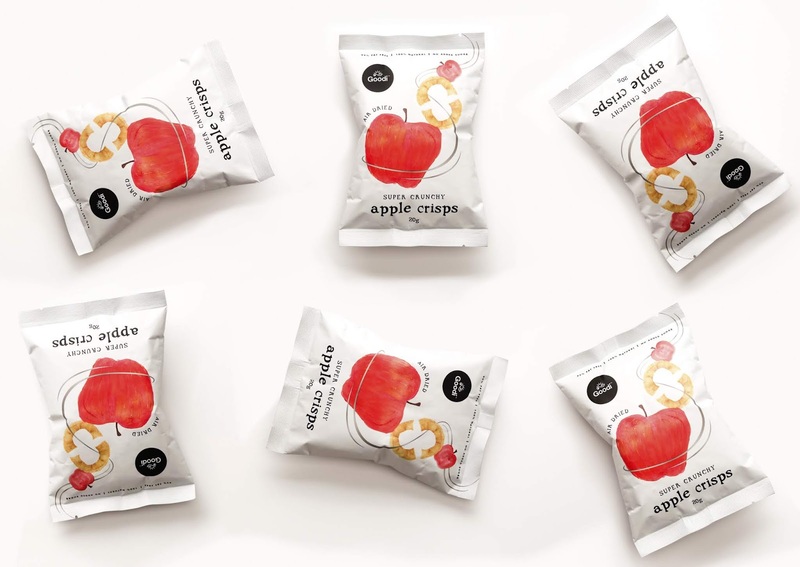 The graphics create an unmistakable look and feel that is clean, simple and fun, yet still appeals to the mums and dads who are buying the snacks. Key purchase information head the pack without influencing the packaging hierarchy, clearly speaking the health benefits of Goodi. The tone of voice engages our audience in a friendly manner and compliments the typography which is based off an old style school book. The apples were hand painted in watercolour then computer rendered, giving authenticity to our audience. An overall simple design with a cheerful look.